Audiology is a dynamic and rapidly growing healthcare profession founded on the science of hearing and the study of auditory and vestibular processes. The department of audiology at A.T. Still University was established in 1999 as an independent department of audiology within a medical school and leading health sciences university to provide comprehensive audiology education and clinical training with a unique focus on whole-person healthcare, inter-professional collaborative practice and lifelong learning. Graduates are knowledgeable and skilled in the scientific foundations of anatomy, neuroanatomy, embryology, pharmacology, auditory science and evidence-based practice; the application of screening, diagnostic and treatment procedures pertaining to hearing and balance disorders for patients across the lifespan; and business management practices for a sustainable and rewarding career. The mission of the A.T. Still University Department of Audiology is to educate outstanding Doctors of Audiology who are critical thinkers, leaders, innovators and compassionate healthcare practitioners. 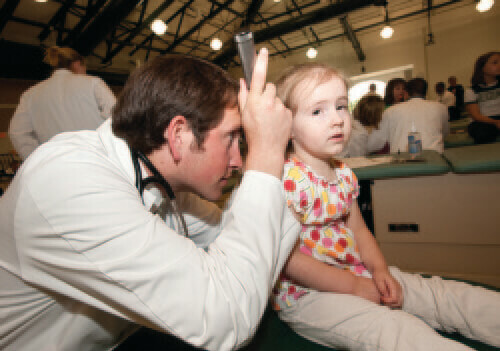 ATSU-ASHS’ audiology programs are always looking for new, highly qualified, high-quality training sites. If you know of a facility interested in providing rotation or internship positions for audiologists, please contact the clinical coordinator Patricia Dabrowski, AuD at 480.265.8057 for opportunities in Arizona or Les Schmeltz, AuD at 480.219.6121 for opportunities outside of Arizona. The ATSU audiology department faculty is comprised of an extraordinary slate of audiology experts and enthusiastic educators who are dedicated to the success of the audiology students on campus, throughout clinical experiences and online. Interacting with the variety of faculty provides effective and comprehensive education covering the scope of practice of audiology, as well as exposure to various teaching styles, audiology practice experiences and education-related backgrounds; leading to a well-rounded education and fostering personal and professional growth. The department’s adjunct faculty and ATSU core faculty include educators and professionals with advanced degrees and expertise across a range of affiliated disciplines, including human anatomy, speech-language pathology, manual communication, medical imaging, statistics and experimental design, pharmacology, and business administration. 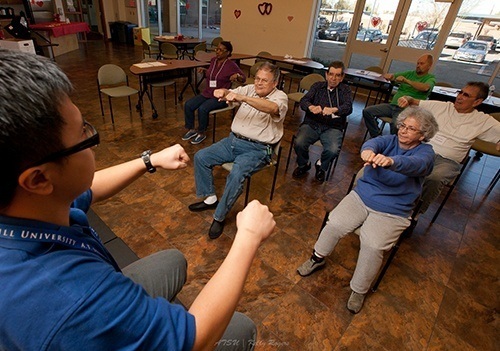 The residential AuD program incorporates basic science education with clinical education through a combination of on-campus classes and labs, unique clinical rotations throughout the local area and in the ATSU Matter of Balance Falls Prevention program and the ATSU department of audiology community Aural Rehabilitation program. 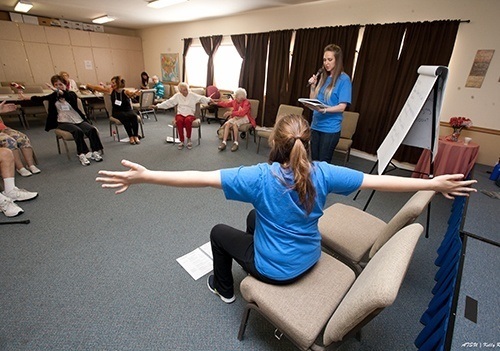 These activities strengthen students’ communication skills, confidence in patient interactions and interprofessional collaboration skills, while instilling in them a sense of social responsibility. 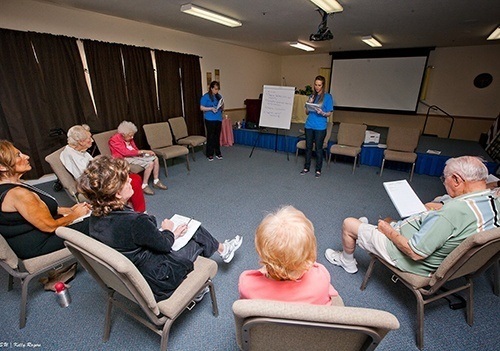 In addition, the ATSU department of audiology established its own university clinic, the AFA Balance and Hearing Institute in 2013 in Mesa, Arizona as a center of excellence for comprehensive hearing and balance care for patients and clinical education of students. The Institute functions as a model private practice, providing students with valuable opportunities to investigate and apply critical business management concepts, in addition to clinical skills. In the post-professional AuD program, the highly focused coursework taught by expert faculty from across the nation provides the most relevant and up-to-date education. Over the past 15 years, the more than 3000 ATSU Audiology alumni from the post-professional online program have enhanced their patient care and professional standing. Many of these doctor of audiology alumni have taken on new leadership roles, started new practices, or added new skills to their daily clinical routine. Many also now serve as clinical preceptors for the entry level AuD students, helping the next generation of audiologists to apply and refine their clinical skills and critical thinking abilities. 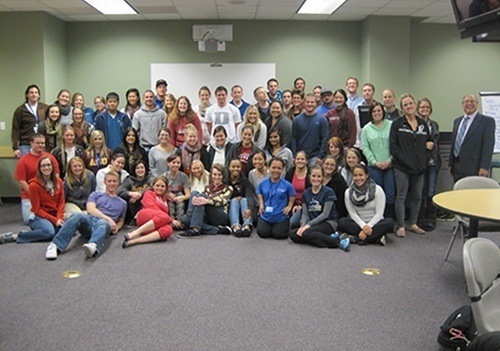 A strong and supportive network of AuD alumni, the high quality AuD coursework and excellent overall clinical education, along with an unmatched dedication to business training and community service, create a challenging and rewarding AuD program experience for ATSU audiology students, ensuring that ATSU AuD graduates have the highest caliber, well-rounded preparation. 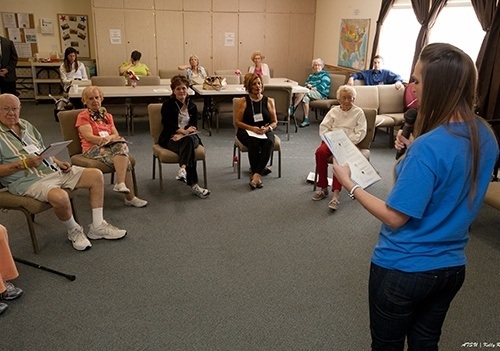 Audiology faculty and students are engaged in service and research activities that promote health and wellness in the community, educational opportunities for students and dissemination of scholarly works.